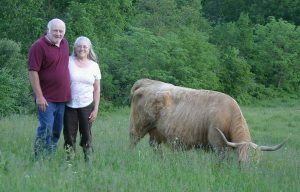 Our cooperative of small family farms believes that rotationally grazing cattle is the best way to raise lean, tasty beef. 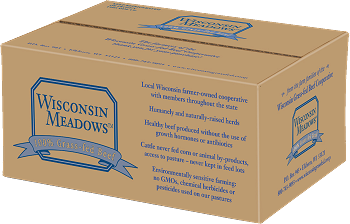 Our well-managed pastures protect soil and water resources and provide wildlife habitat. We care about that, because we live here, too!We raise old world British breeds such as Devon, Galloway, White Park and others proven to be hearty and thrive on an all-forage diet. Low-stress handling and rotational grazing keep both the cattle and the pastures healthy. 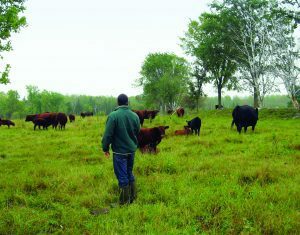 Our member farms are committed to producing high quality, sustainably raised beef for Wisconsin. Working cooperatively, we’re able to keep the best interests of both our customers and the families who farm the land in mind. We thank you for supporting us in our efforts by choosing local grass-fed beef for your table! Our farmers are available to speak to your group or demo our beef at your store.